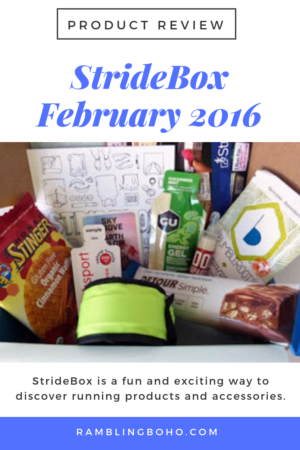 Stride Box is A monthly subscription box with an assortment of nutritional bars, gels, drinks, snacks, apparel, and accessories. I’ve been receiving Stride Box since September. It is actually the first subscription box I ever signed up for. Funny, this is the only box I’ve ever subscribed to without a coupon. I’ve liked the boxes so far. 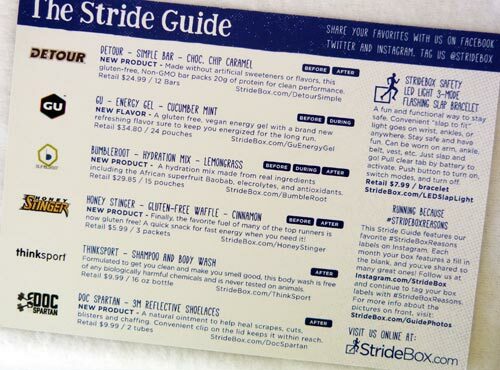 I receive a lot of health & fitness boxes, but StrideBox is still one of my favorites. It’s a month-to-month only, and do not have 3, 6, or 12 month subs. I’ve only seen them have a coupon once. Wish they had more discount incentives. I wholeheartedly recommend StrideBox as it’s been one of my favorites for months. Try them out if you want something smaller than some of the other health & fitness boxes. Plus, Stridebox always comes with some sort of accessory & non-food item! Go to Stride Box to subscribe today! Included in the box this month was a coloring contest! In each box is an info card. Their cards have the products listed, a little bit about each one, a link to purchase more if you like the sample, and whether they are for before, during, or after your run. On the back is a collage of subscribers Instagram photos using StrideBox’s tag. This month, the first items are Honey Stinger Waffles, and Doc Spartan Ointment. 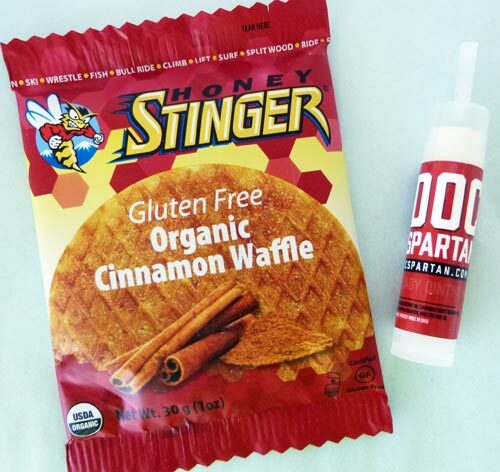 The Honey Stinger Waffle is a gluten-free, organic cinnamon waffle. It’s a 1oz snack, and has 140 calories. It promises fast energy, but only has 10g sugar. This contains honey and is made in Canada. The Doc Martan’s natural ointment helps heal scrapes, cuts, blisters & chaffing. The ointment is in a stick form, and comes wit a convenient clip on the lid to keep within reach. Perfect for your pack! 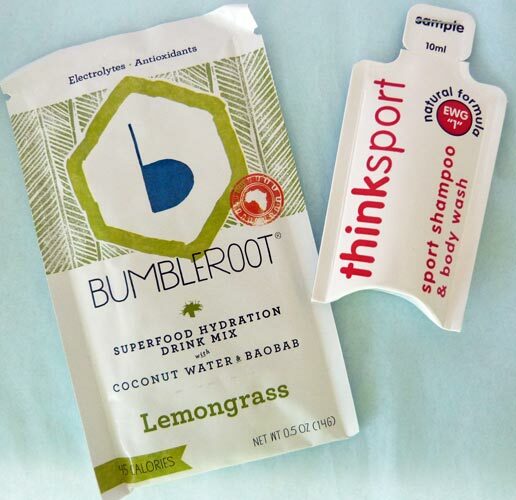 The Bumbleroot Hydration Mix is made from real ingredients including the African superfruit Baobab, electrolytes, and antioxidants. The pouch is .5 oz, and one serving. The flavor is Lemongrass, and you mix it with 20oz of water. The ThinkSport Shampoo & body wash is a tiny sample; 10ml. This definitely wouldn’t be enough to wash my hair. Maybe I’ll give it to my son. He’s a stinky teenager. It is formulated to get you clean & make you smell good. It’s free of any biologically harmful chemicals. The Detour Simple Bar is next. I’ve had this brand before, but this is a new flavor. This is going right in my stash of protein bars. It’s made with no artificial sweeteners or flavors, is gluten-free, non-GMO, and packs 20g of protein. It’s also 210 calories for the hefty 2.1oz bar. 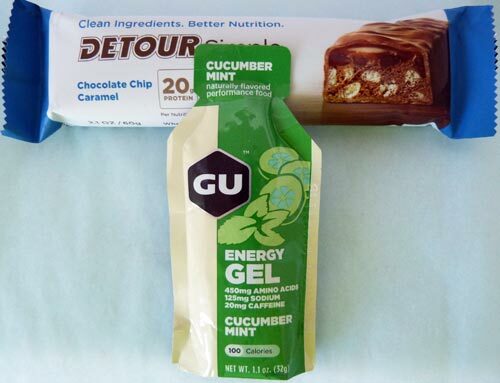 The GU Energy gel in cucumber mint. It’s gluten-free and vegan. This is a brand new refreshing flavor. It’s 100 calories, has 40mg potassium, and 22 carbs. Maltodextrin is the first ingredient. Stideboxes always come with motivational stickers. I have a stack of them now. Honestly, I don’t know what to do with them. The ‘big-ticket’ item in the box this month is a Safety LED Light 3-mode Flashing Slap Bracelet. You can wear it on your wrist, ankle, arm, vest, or anywhere. 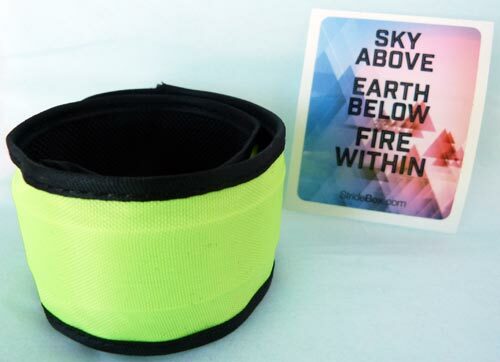 It’s made of a neon yellow/green nylon. You push the button to turn it on, switch modes, and to turn off. This is great for the shorter winter days out here on the dirt roads where there is no sidewalks. It retails for $7.99.